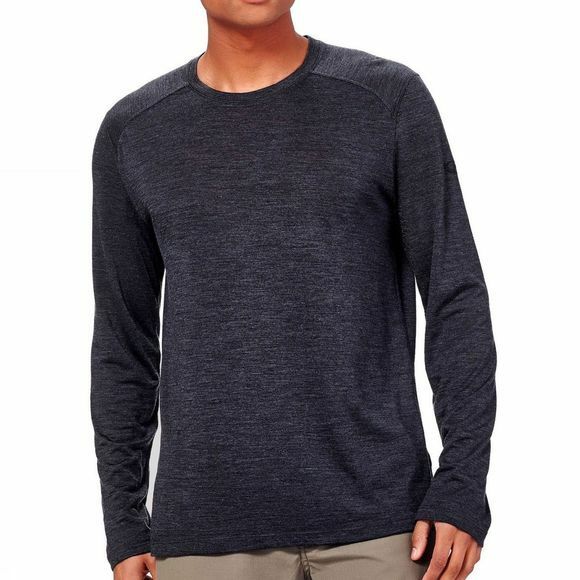 An ultralight merino wool t-shirt for warm-weather travels and local summer adventures, the Men's Sphere Long Sleeve Crewe features a classic crew-neck design that’s as versatile as it is comfortable. 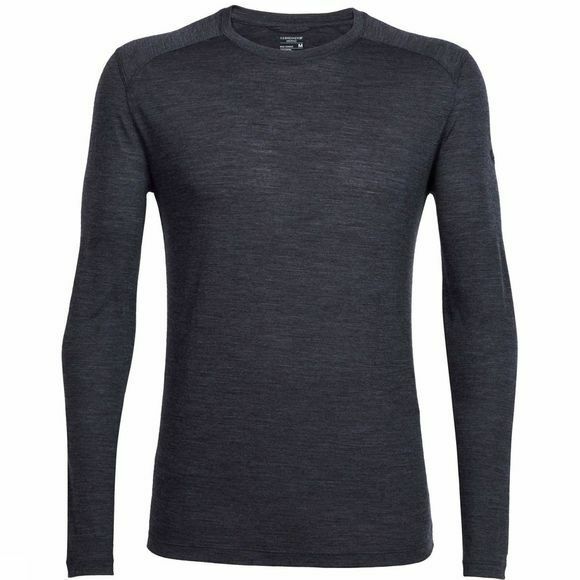 Made with soft 130g/m² Cool-Lite fabric that blends merino wool with natural Tencel, the Sphere also features our corespun fibers, which feature a nylon core wrapped in merino wool for added strength and durability that maintains next-to-skin softness. Icebreaker's Sphere is quick to dry and gives you the optimal balance of comfort, breathability and odour resistance, while offset shoulder seams eliminate chafing when you’re traveling, hiking or commuting with a backpack.